Receive a warm welcome at the Dhaka airport. Indulge in a savory buffet lunch enroute to hotel. Start your excursion with the National Assembly or Parliament House which stands gloriously at Sher-e-Bangla Nagar. This elegant edifice was exclusively architected by the most prominent architect of the time Louis I Kahn. Thus, it is also named as the architectural wonder of the place. 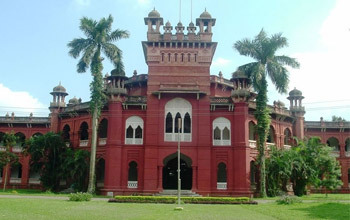 Dhaka University Campus with Curzon Hall and some other prominent edifices will be explored in the excursion. Kick start your morning with a mesmerizing excursion to the Ahsan Manjil which bestows pink hue over against the azure backdrop of the river Buriganga in Dhaka. This pink edifice holds a strong historical past which is now open for public as it has been transformed into a museum recently. The Manjil has been designed to showcase the attractive architecture and antique articles which the Nawabs of the time used. After exploring the epitome of heritage in Dhaka we will move to uncover the Sadarghat water front and other lesser known heritage sites in Dhaka. Leave for Nokhotrobari resort (3 hours drive) in the evening. Have a savory dinner at the resort before the Night Halt at Nokkhotrobari resort. Enjoy an amazing morning cruise by a local boat at Kapasia. The mesmerizing vicinity will take you to a charismatic world. 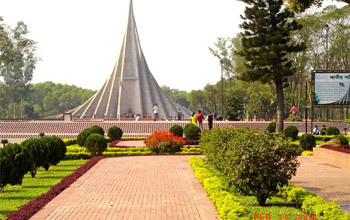 Get ready to explore the National Memorial at Savar post-lunch. The memorial was intricately designed by the prominent architect of the time Moinul Hossain. The memorial as the name suggests is built in memory of the myriads of martyrs who sacrificed their lives for the nation in the war of liberation. After experiencing the patriotic memorial head towards the Jahangir Nagar University. It is an abode of innumerable species of birds with a serene and tranquil atmosphere. The bird sanctuary welcome birds from distant countries Scandinavia etc. Myriads of migratory birds are found here. After the bird sanctuary, visit the fascinating village of Dhamrai and observe the rigorous hard work that undergoes in the making of bronze and its antique art pieces. Have a savory dinner at the resort before the Night Halt at Savar BCDM. Start a refreshing morning and a pay a visit to Bangabandhu Memorial Museum which holds a significant history. The site used to be the abode of Bangabandhu Sheikh Mujibur Rahman who was known to be the senior-most person and the father of the nation. The place now comprises significant articles and photographs that reflect his lifetime and a rare collection of artifact that went into the liberation of the nation. Liberation war museum is the next stop in your excursion. The museum is adorned with uncommon photographs and things of the Liberation war. There are certain rare article and weapons of the time which were used in the war by the freedom fighters. 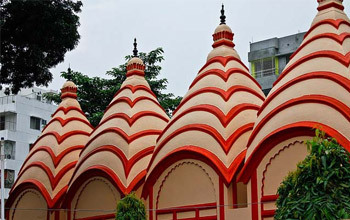 Next on the list is Dhakeswari Temple which is the most famous and ancient Hindu temple of the country. Lalbagfort is another site which you will explore post-lunch. The fort stands with all its glory since the Mughal kingdom. The magnificent fort was constructed by the orders of the Mughal emperor Aurangazeb’s son and it dates back to 15th century AD. The fort comprises various intricately architected edifices like the tomb of Pari Bibi, Lalbagh Mosque, Hammam of Nawab Shaista Khan etc. Wind up the excursion and return to the hotel. Transfer to the airport.